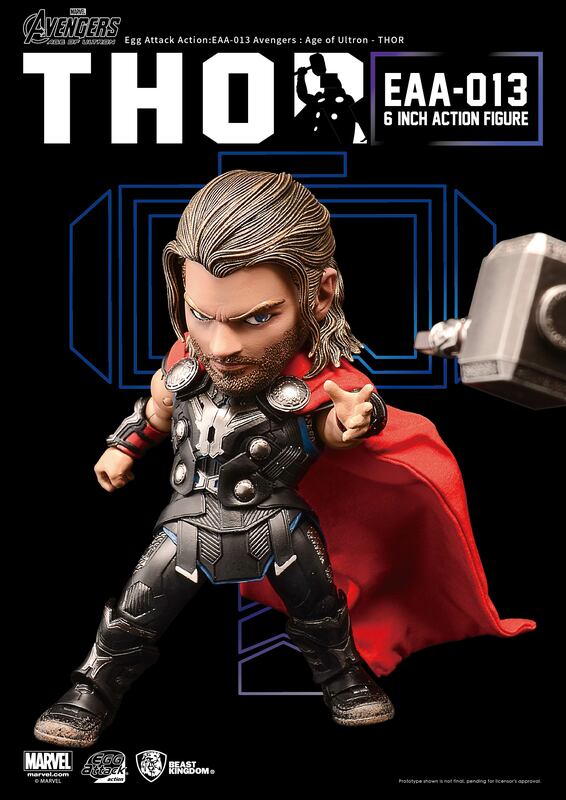 Home > Action Figures > Beast Kingdom > Egg Attack Action: EAA-013 Thor "Avengers: Age of Ultron"
Beast Kingdom Toys is proud to present the Egg Attack Action Thor from Avengers: Age of Ultron. 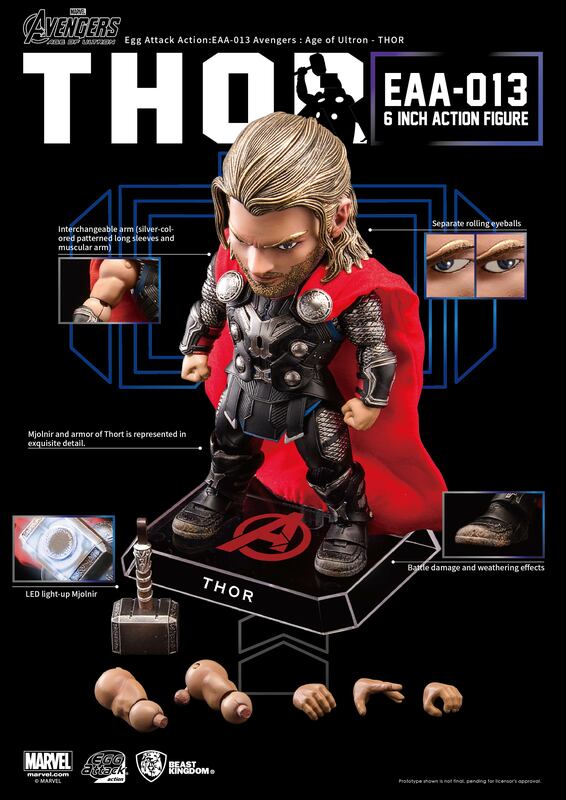 The 6-inch action figure has over 22 points of articulations, and separate rolling eyeballs. 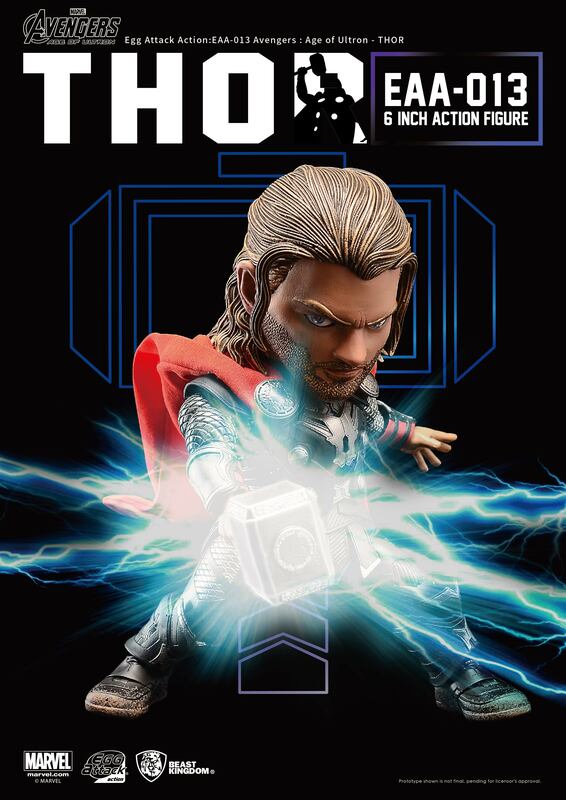 Moreover, the figure is specially crafted based on the image of Thor, featuring a highly detailed costume, and an LED light-up Mjolnir. The figure comes with 3 interchangeable hands, and 2 pairs of interchangeable arms (silver-colored and patterned sleeves with muscular arms), letting collectors display the figure to their own preference. 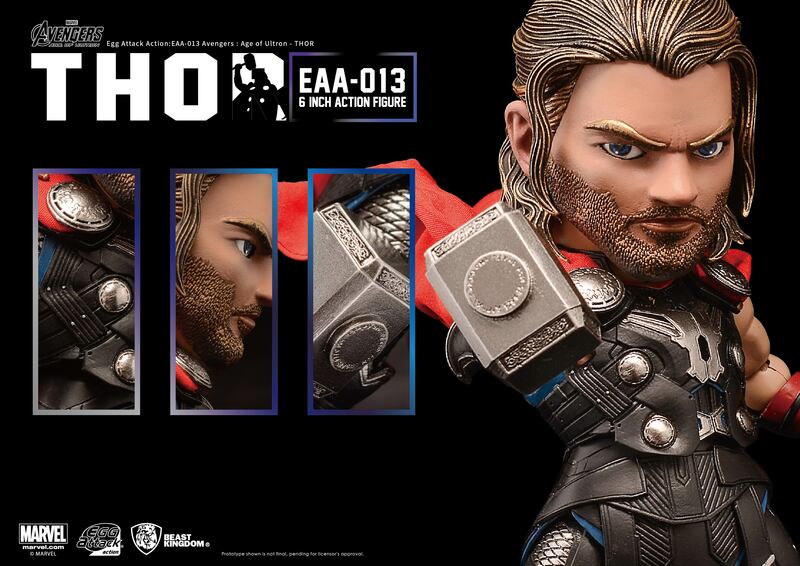 Egg Attack Action: EAA-011 Captain America "Avengers: Age of Ultron"